Those Who Think Celtic Should Be Shopping In The SPL Have Never Watched Football. There are people in the Scottish media who think we should have been “in the race” for Aberdeen’s Graeme Shinnie. There are others who think we should try and steal a march on the Ibrox NewCo to grab John Souter from Hearts. 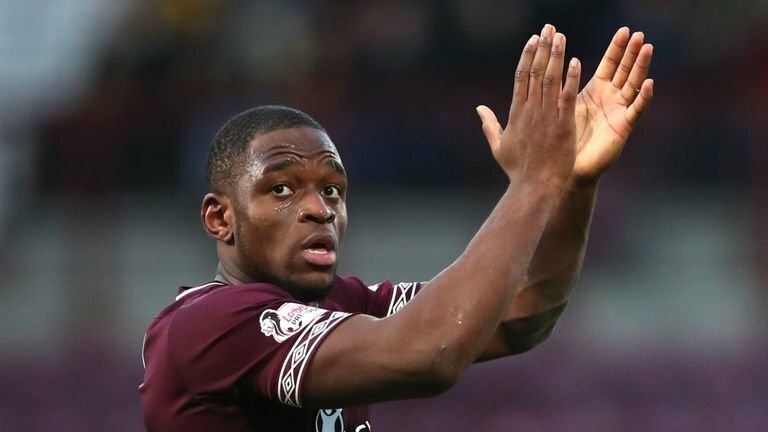 Chris Sutton thinks we should be targeting the Tynecastle club’s big striker Ikpeazu. I can only conclude that these people do not watch football, or know far less about it than they probably should. I see no merit to be had in any of those moves, or in any other move which involves us buying a player from our domestic league. Having watched him more, I would take Scott McKenna in a minute. I just watched the cup semi final between Hearts and Inverness today and really, it was uninspiring stuff. A better manager than Levein might have been able to get more out of this Hearts side, but really it’s a team full of journeymen. Ikpeazu scored, and will doubtless get all sorts of praise for his performance today but he is a dreadful footballer; that’s his sixth goal of the season. His sixth. Yet Sutton thinks he’s a potential Celtic player. Honestly, what game do these people watch? He has a physical edge to his game, but it’s about all he’s got. There’s nothing else there. We got this when the Ibrox club moved for Jake Hastie; one newspaper said that both clubs had been in for him, but honestly why would we have bothered? He’s shown nothing that we don’t have plenty of already; goals and assists from out wide. We have Maryan Shved coming in the summer, and he has been a sensation for his club since he went back there on loan. The Ibrox club thinks signing “the best of the rest” will get them over the line; this is why they are moving for guys like Hastie, like Greg Stewart, like Jordan Jones. Nothing could be further from the truth though. These guys are not going to cut it. Today Hearts went through. We know who our cup final opponents will be if we get past Aberdeen. We know who stands in the way of 3Treble, and really there’s nothing to fear. Because Hearts are the absolute epitome of a mid-table SPL side and we are eight times in a row champions.